Add a Wedding Wishes Post Box to your accessories and offer your guests a fun way to share their messages with you on your special day. 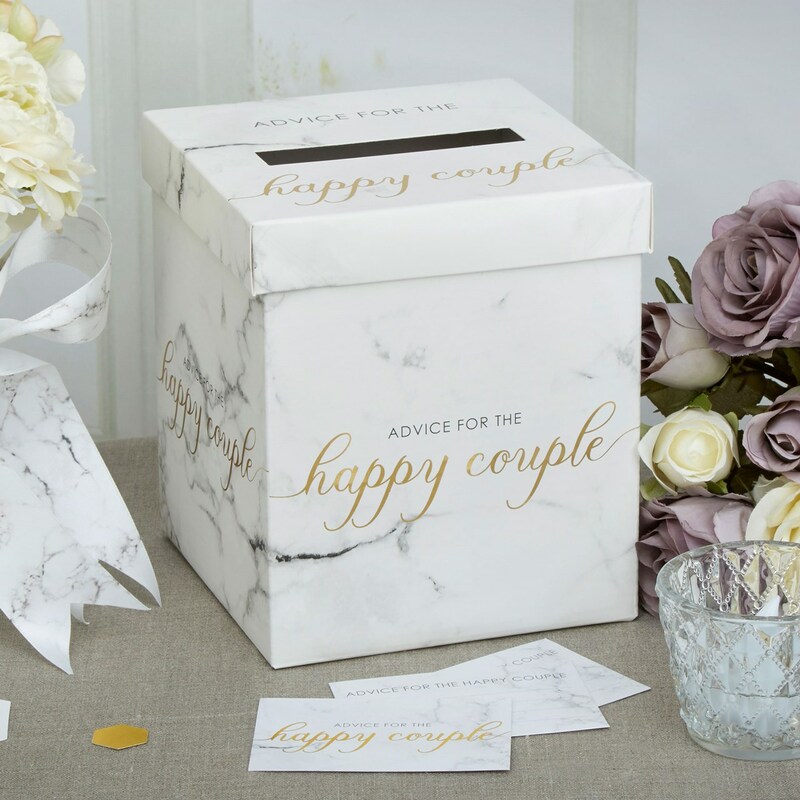 Using the matching cards, guests can share their memories, wisdom and best wishes with you. Please note: Wedding wishes cards are sold separately. Post Box Size: 140x140mm square, height 170mm.